On 12 September 1940, four teenagers accidentally stumbled across a hole in the hillside overlooking the village of Montignac, France. This opening the entrance to the Lascaux Cave and its network of chambers brought to light stunning 17,000- year-old paintings that vividly depicted a whole host of animals and figures. The discovery was to become one of the greatest archaeological finds of the 20th century. By the 1950s, however, the sheer number of visitors to the cave was causing the paintings to deteriorate, forcing the Ministry of Cultural Affairs finally to close it to the public in 1963. A key figure at Frances National Centre for Prehistory, Norbert Aujoulat has been fascinated by the Lascaux Cave ever since his first visit back in 1970 and has spent several years researching its ancient art. In successive chapters, he takes us on a thorough exploration of the historic site, detailing the geological and archaeological background of the area and guiding us through the individual chambers and paintings from their very beginnings right up to the present day. 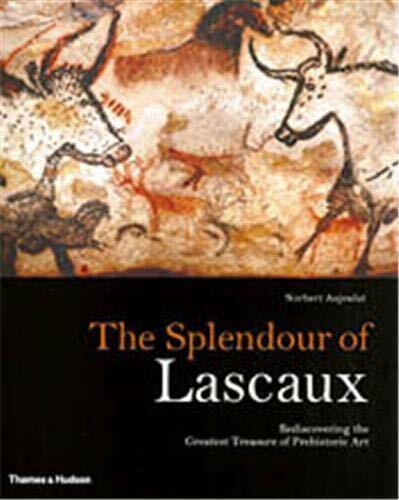 By capturing the beauty and essence of these world-renowned masterpieces, this richly illustrated and extensive study enables each and every one of us to experience the magical atmosphere of Lascaux for ourselves. Norbert Aujoulat is the Head of France's National Centre for Prehistory, and the world's expert on the caves at Lascaux.